I use so many products in my hair on a daily basis. And between blow drying, straightening or curling, my locks can take quite the beating, especially, when you also add in harsh, dry weather. So I know how important it is to have a hair care routine that repairs damage made by heat styling, color treatment and chemical products. That's exactly why I was thrilled to try out Arvazallia Advanced Hair Repair products. 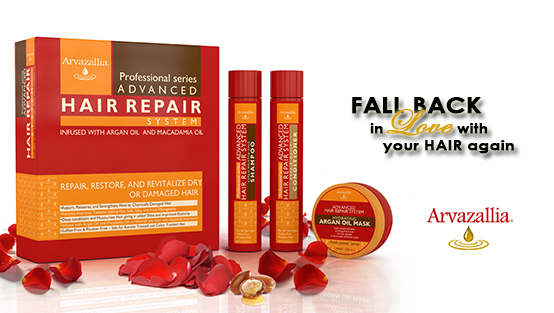 They contain various oils including Argan and Macadamia to repair, moisturize and strengthen your hair. 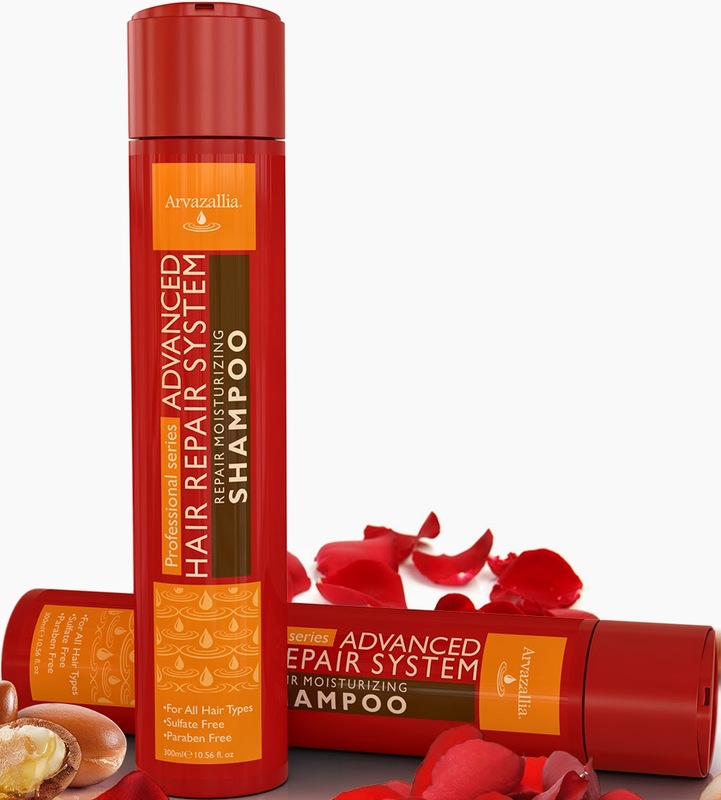 The Shampoo and Conditioner are great to use on a daily basis for consistently healthy hair. 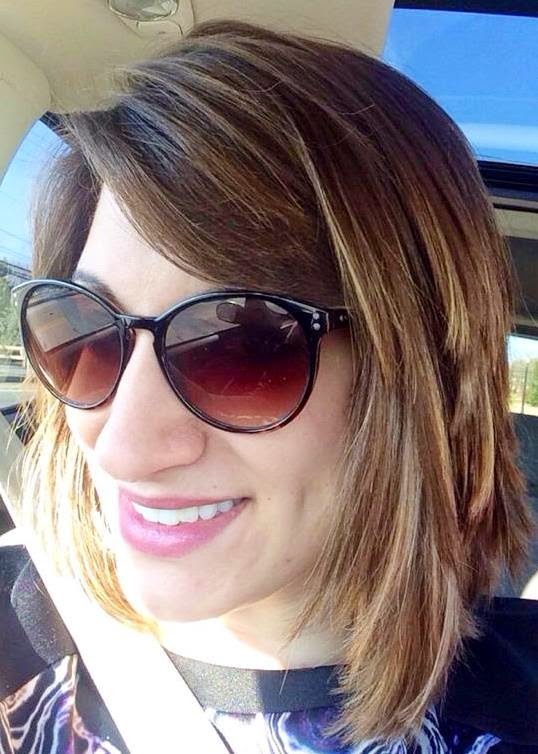 When I used these products, I found that my hair was extra soft, bouncy and healthy looking. 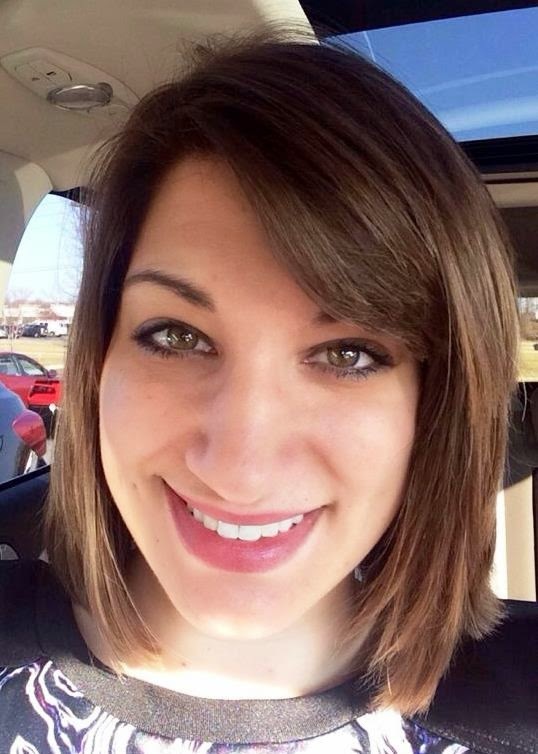 My usual thick-hair-frizz is gone and I'm left with smooth, manageable hair. It was easy to comb through and to style! Plus, the smell is good but not overpowering in any way. The other product I tried, the Hair Mask and Deep Conditioner, is perfect for that extra boost one-two times a week. 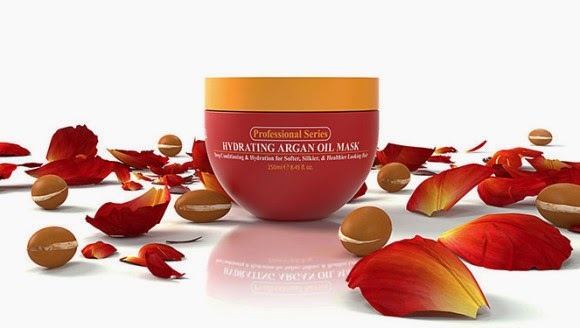 This mask is loaded with Argan Oil and provides extra hydration, vitamins, nutrients and detangling formula. These products are definitely high quality and when used together, are a great system for keeping your hair healthy, happy and fabulous! Not to mention, the company's customer service was great! After ordering the products through Amazon, I received follow up information on how to make the most of my products and encouraging my feedback. This, to me, demonstrates a company who cares about each customer's experience and that is so important! I will definitely continue to use these products to help my hair recover from the winter weather, harsh chemicals, and intense heat it has been experiencing on a daily basis! If you're looking for a product line to do the same, I definitely recommend Arvazallia Advanced Hair Repair Shampoo, Conditioner and Mask. 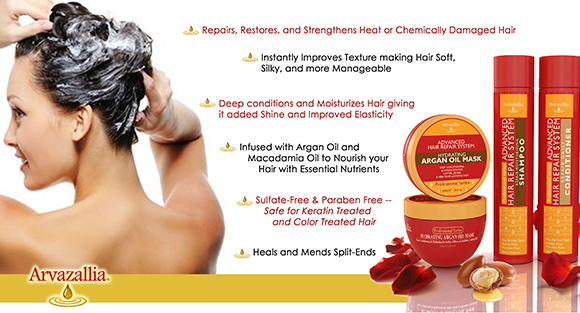 How do you repair your hair? !